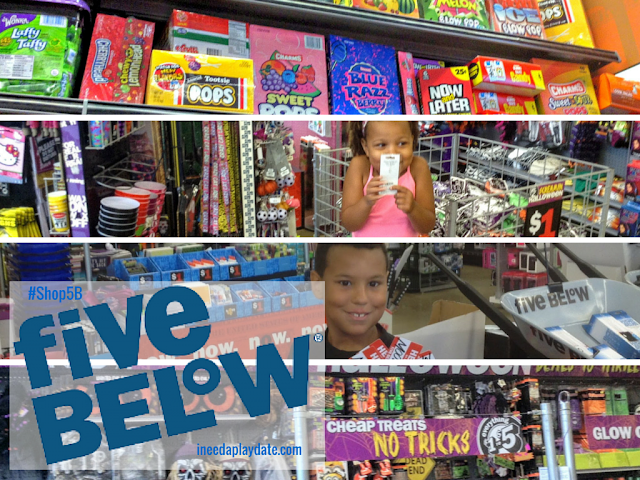 What happens when you let a tween and a want-to-be tween loose in Five Below with gift cards? They could not wait to go shopping! Since school supplies were bought and birthday parties are far off - I let them go. This is the "yes" store where the kids can spend their own money. 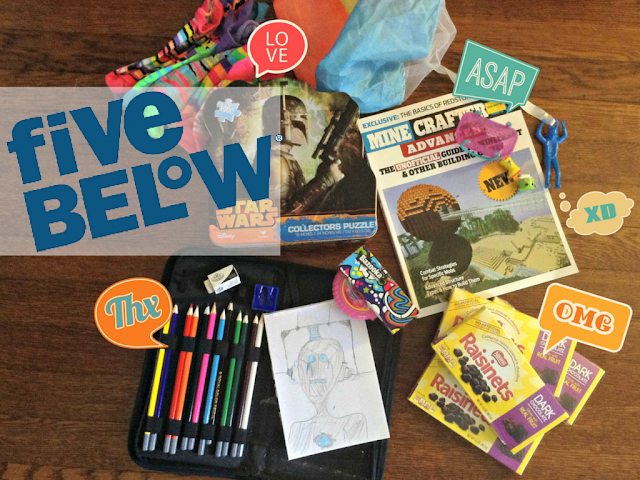 Spawn is my ten-year-old and he loves to draw, Minecraft, and music. My little one, RD, is a diva in training and can't wait to be older. I let them lose on the store and had no idea which one to follow. I wasn't expecting to see Halloween decorations, but there is a really fantastic selection to scare and delight the kids including bags and bags of candy. We'll be back for decorations. My kids had no problem finding the candy aisle and they went a little crazy with bubble gum and tootsie rolls. At such great prices, it's hard to say no to a few pieces of gum. Spawn is always looking for interesting things to decorate his room and there is a dynamic inventory of high-quality home decor and on-trend items for all tastes. He can decorate his room to his hearts content. Leave it to Spawn to find the art supplies. Five Below has quality craft supplies. I wish I came here for his set of charcoal pencils and pastels instead of paying way more than I had to at the art store. My little one not only got her first Shopkins but wasted no time picking up a book, some things for her hair, a whole lot of candy, and she picked out some really funky sock. The kids had so much shopping and being able to do it on their own. Spawn even picked up a Star Wars puzzle to work on with his dad since they love the movie so much. RD picked out a novelty t-shirt for her dad. It was this or perfume and I'm so happy that she picked a gift for her dad over her terrible taste in perfume. It was such a fun time shopping and it's a great place to let the kids spend their allowance and know that they won't be buying crap.